The weak sustainability of low-end market share has claimed a new victim. Dell has dropped its remaining Venue-branded Android tablet line and will instead focus on selling conventional PCs and hybrid "2-in-1" devices running Windows, citing over-saturation and declining demand for slate-style tablets. According to a report by Agam Shah for PC World, Dell previously discontinued most of its Android offerings "some time ago" (including Venue-branded smartphones, which were dropped in 2012) but continued to build Venue tablets and an "Android-based Wyse Cloud Connect, a thumb-size computer that can turn a display." Those remaining Android product have have now also been abandoned, and Dell will no longer be issuing any new Android updates for them. "For customers who own Android-based Venue products, Dell will continue to support currently active warranty and service contracts until they expire, but we will not be pushing out future OS upgrades," the report cited a Dell spokesman as saying. Dell's Android tablets were some of the company's cheapest products, and many were bundled for free with PC laptops. 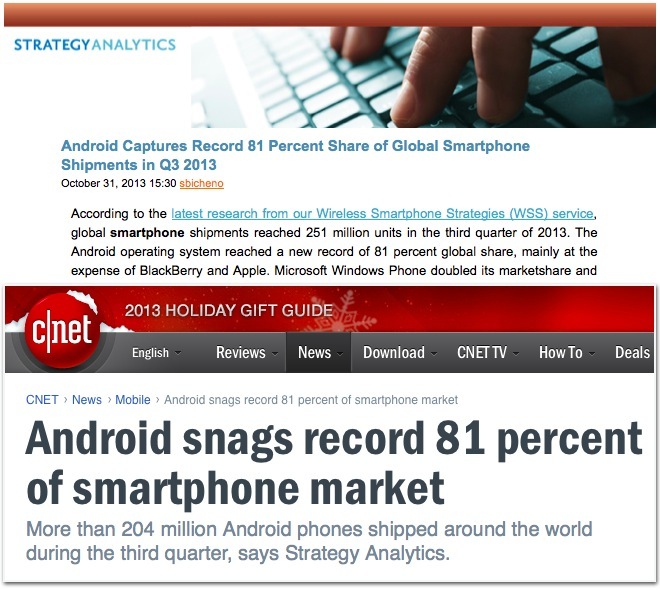 That turned out to be a poor strategy for maintaining sustainable profitability, despite the fact that IDC, Gartner, Strategy Analytics and other market research groups have been hailing Android's shipment volumes as meaningful for years, abetted by media sources that repeat their numbers without criticism. Six months ago, HP similarly announced plans to dump its low end Android tablet business in an effort to focus on products that are profitable, after earlier giving up on Android phones. HP's president of Personal Systems Ron Coughlin noted at the time, "we are going to focus where there is profitability and growth and will not chase the low-end tablet market." PC World also noted that "Lenovo is offering fewer Android tablets than in previous years, and has expanded its Windows-based, 2-in-1 lineup." 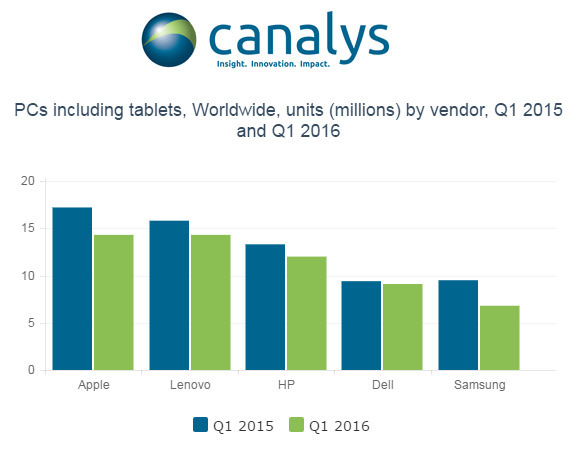 Those moves mean that three of the top five PC and tablet makers globally have distanced themselves from Android tablets, while Apple--the leader in worldwide PC shipments according to Canalys--has never built Android hardware. The fifth place tablet and PC vendor, Samsung, has seen its own tablet sales drop by the greatest number of units over the previous year. The entire tablet market has retracted globally, reverting back to the shipment volumes from 2011, when iPad 2 had just begun shipping alongside Google's Android 3.0 Honeycomb offerings and a year before Microsoft entered the market with its own Surface line. Alongside Microsoft's efforts to establish Surface Pro sales, major PC makers are now seeking to move their own tablet offerings upward, but that has required a platform switch. While Android enabled ultra-cheap tablets, it has not been able to generate significant demand on higher end tablet products. That's sent major PC makers back to Microsoft, in the hope that Windows users in the enterprise might want to buy compatible hybrid PCs with tablet-like functions. Business users have overwhelmingly taken a pass on Android, in large part due to Google's cheap consumer focus and its neglect of enterprise support and serious shortcomings in security overall. Apple has also shifted its focus in iPads by adding new features exclusively to its higher end iPad Pro line, which features greatly enhanced processing power enabling multiple apps on screen at once as well as new support for Apple Pencil and higher end displays with features such as the 9.7 inch iPad Pro's True Tone ambient light adjusting screen. Unlike Microsoft's Surface Pro and many other "2-in-1" hybrid PC devices, Apple's iPad Pro is also designed to run on power efficient ARM-based Ax Application Processors supported by iOS. Windows 10 requires an Intel processor, as Microsoft's Windows RT effort to port Windows to ARM failed spectacularly. 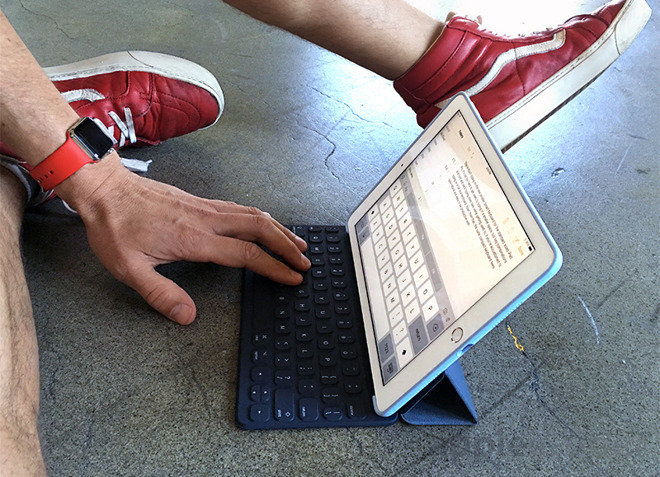 The ability for iOS-powered iPads to achieve longer batter life in a slim, fan-free design also contributes toward making iPads more profitable, because Apple designs its own Application Processors rather than relying on Intel as Windows licensees (including Lenovo, HP, Dell and Samsung) must in order to ship in-demand products. While both Android and Google's alternative Chrome OS both support ARM-based hardware, consumers and businesses have shown little interest in premium Android devices (deployment of new versions is actually falling backward) and virtually zero interest in Chrome OS netbooks, which are now being sold almost exclusively to U.S. schools. Google recently announced plans (as expected) to bring Android apps to select Chrome OS devices, but the primary issue with Chrome OS is not a lack of low quality, smartphone-optimized apps monetized by surveillance user-tracking and ad banners. Apple currently not only leads the market in tablet shipments, but maintains the only mobile platform with significant tablet-optimized apps, rich support for enterprise partners and high satisfaction among consumers. The company hasn't yet reported sales for its initial quarter of the mainstream 9.7 inch iPad Pro, but sales estimates show that the initial 12 inch iPad Pro immediately outsold all of Microsoft's Surface line in its first quarter of availability over the winter. The larger iPad Pro already delivered comparable performance to Surface Pro at a lower entry price; the latest model is even less expensive, making it attractive to an even broader audience.